"A complex system of beliefs." We're taking a brief step outside of our comfort zone to share this fascinating, mesmerizing short film titled Edifice, made by designer / filmmaker / visual artist Ash Thorp (follow him @ashthorp). This experimental short features stunning imagery designed to consider existential questions about "who we are, where we come from, and where we are heading." It's only seven minutes and features no dialogue, only visuals. The concept is to present visually a "journey from stardust to singularity." Most of the short films we share contain some sort of narrative or plot device, but this one is all about the concept, evoking profound existential & philosophical thoughts through an entrancing visual experience. See below. Thanks to Ash for the note on this. Original description from Vimeo: "Edifice is an experimental short film inspired by personal beliefs of who we are, where we come from, and where we are heading; it's a journey from stardust to singularity. This purely cinematic film is intended to stimulate your mind and senses, while provoking further thought about our passage and presence in this world. 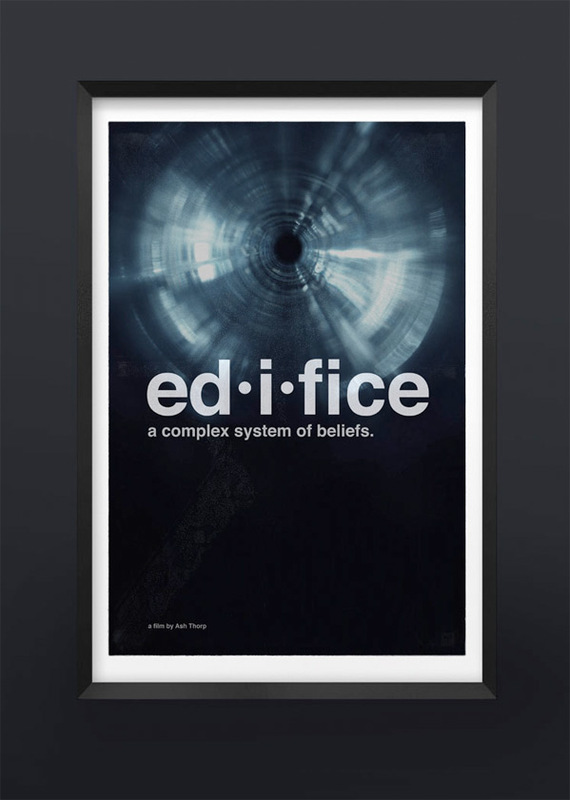 To optimize your experience of the film, Edifice is best viewed on a full screen, with no surrounding artificial light intrusion, and very ample sound." Edifice is made by Ash Thorp (visit his official website), featuring a score by Ben Lukas Boysen. For more info on this and behind-the-scenes, visit the website. For more shorts, click here. Your thoughts?